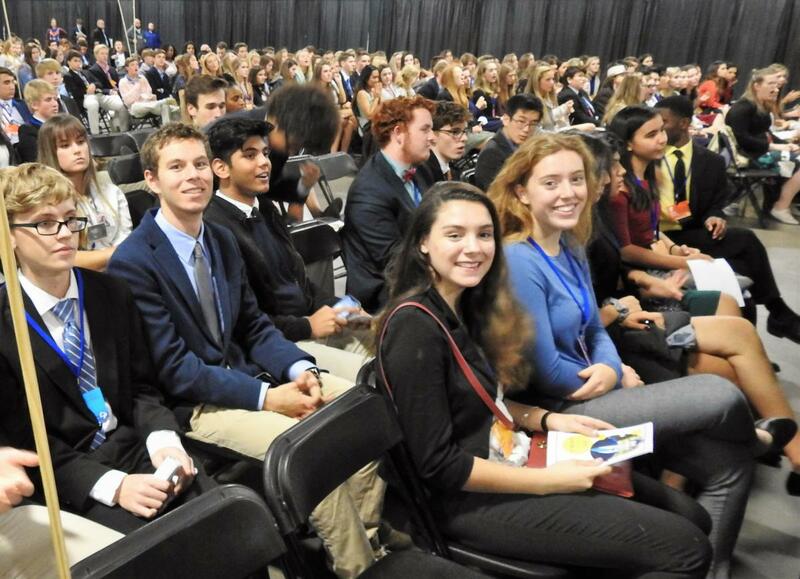 GSSM sent one of the smaller delegations to the South Carolina Youth In Government (YIG) Conference on November 14th, but they accomplished a lot. Sponsored by the Y-USA with SC headquarters in the Greenville, YMCA over 2100 students went to Columbia to learn about government and politics. 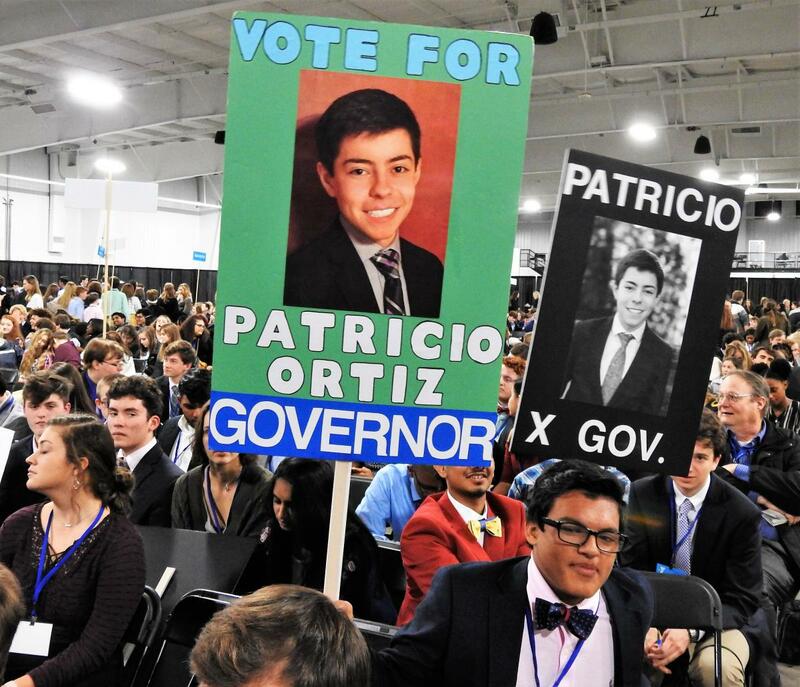 GSSM Junior Patrico Ortiz ran a successful campaign and was elected Governor at the conference and was named as a delegate to the Conference on National Affairs, to be held at the National YIG Conference in Black Mountain, NC. The Outstanding Bill Awards, which honor the top six bills of the conference, went to the two teams of Daniel Hilbourn and Christian Dunlap, and Juwhan Cho and Nicholas Daly. Both of these bills were honored for their excellence in writing and both were signed into law. Sophie Walrad and Charlie Shaugnessy's bill passed committee, the House, and Senate, and was signed into law by the Governor and Secretary of State. Josh Geden served as a Supreme Court Justice. San Torlay and Saif Ali served as lobbyists, and their work on a bill funding drug research for medical purposes led to the bill's passage into law. The bills of Omika Merchant, Hannah Kenis, Hannah Waraich, Sarah Webb, and James Dockery all passed committee. GSSM YIG advisor and history teacher Dr. Karl Rohr praised the students' efforts, "I couldn't ask for more entertaining and enlightening company. We had one of the smallest delegations in attendance, but our students' class, dignity, and poise loomed large. I was already impressed with this crew, but they dazzled me even more." Dr. Rohr thanked Capt. Carl Yackey, GSSM History and Government teacher, for his excellent support of the delegation. Learn more about the SC Youth in Government Program here.